Julian Rosefeldt, Manifesto, 2015; Staatliche Museen zu Berlin, Nationalgalerie, Purchased in 2014 by the Freunde der Nationalgalerie. A tour-de-force multi-screen film installation, Manifesto draws on the somewhat anachronistic literary form of manifestos – declarations of belief usually combined with a call for action. Artist Julian Rosefeldt revisited dozens of 20th-century manifestos, examining their relevance and power today and blending foundational texts of art movements including Dada, Surrealism, and Futurism to create thirteen new texts written as monologues. 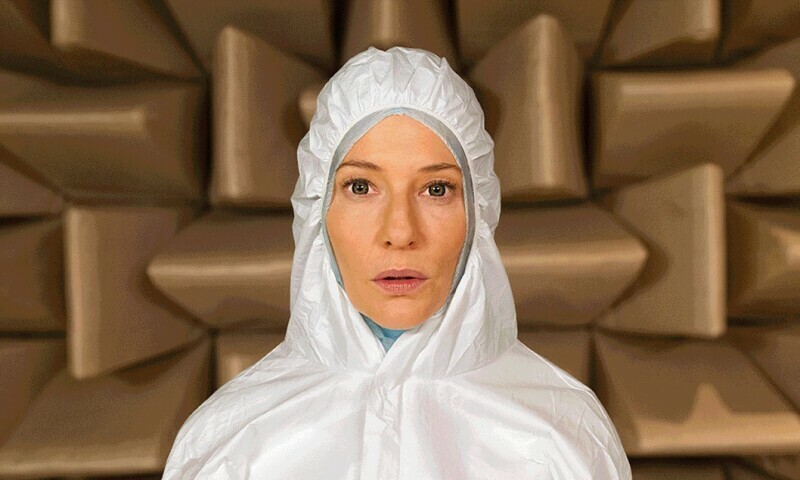 Sole actor Cate Blanchett performs the monologues as different characters in diverse settings, among them: a homeless man, school teacher, factory worker, choreographer, newscaster, and widow at a funeral. In all cases, Rosefeldt has masterfully adapted the context to our own time, using thought-provoking and at times comic juxtapositions of text and speaker.